I made this tote bag yesterday on my day off and I am pleased how it turned out. 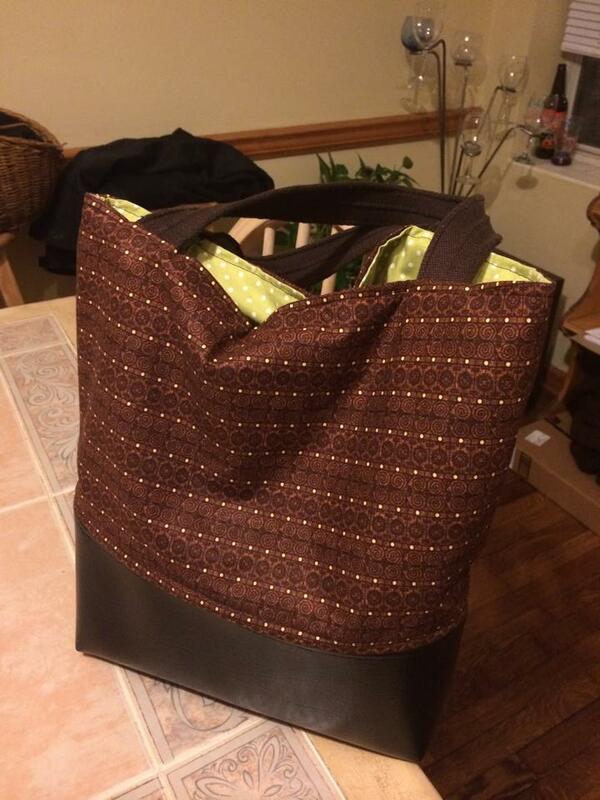 The bag is mostly cotton…I made the handles out of an old belt, and the bottom of the bag is leather. 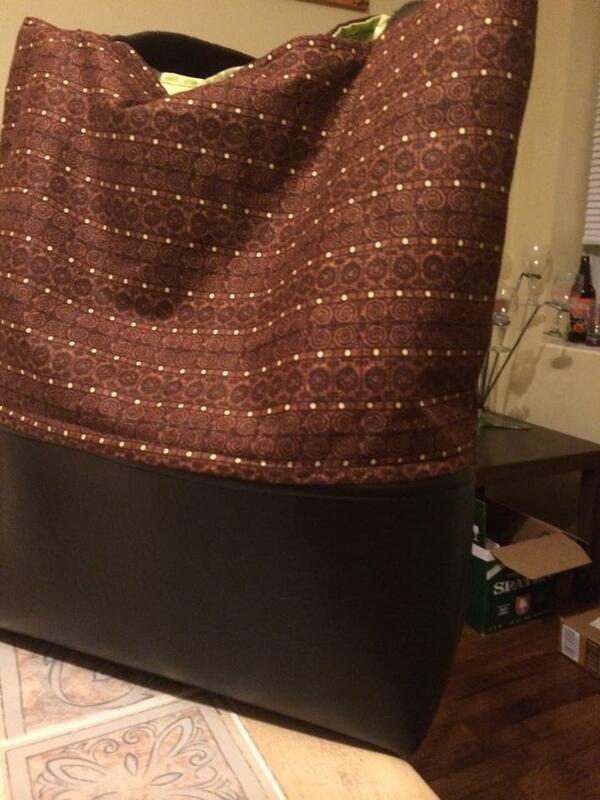 This is the first time I have sewed with leather fabric. I am used to working with just cotton fabric but lately I have been getting a little bored with it, so I have decided to switch it up a bit. The tote bag from my previous blog entry had denim fabric from a pair of jeans, and now I am working with some leather. It was more challenging to sew but it wasn’t too difficult, it was a little harder to keep the seams straight. I will be practicing sewing with this fabric for now, and soon hopefully I will be selling more leather bags in 3 Little Black Birds!